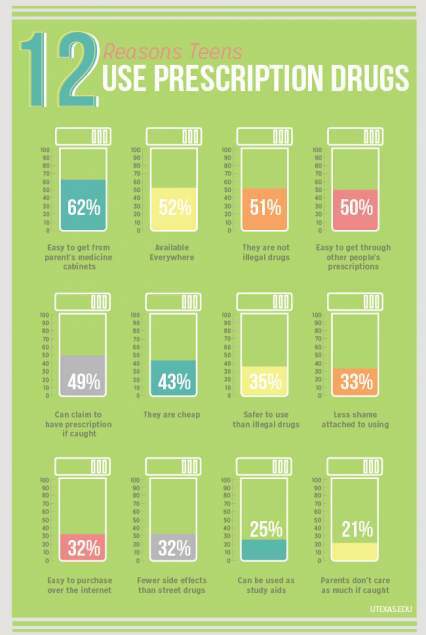 The National Institute on Drug Abuse “challenged the public to create Infographics that present current scientific information about prescription drug abuse in interesting, novel, and creative ways to help inform and educate the general public.” Below are six of the graphical presentations. All the sources for the data are at the bottom of the page. 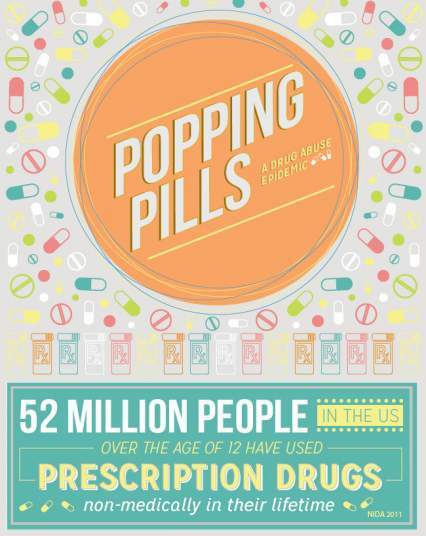 Infographic 1: 52 Million people in the US, over the age of 12, have used prescription drugs non-medically in their lifetime. Infographic 2: 6.1 Million people have used prescription drugs non-medically in the past month; and the United States has 5 percent of the world’s population but consumes 75 percent of the the world’s prescription drugs. 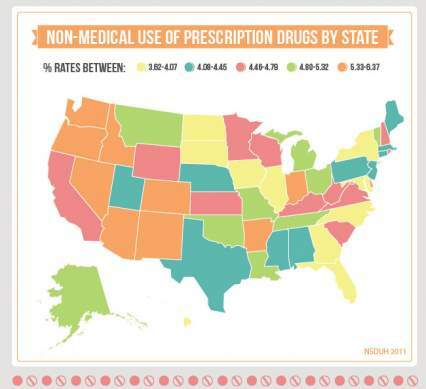 In 2011, 52 million people in the US age 12+ had used prescription drugs nonmedically at least once in their lifetime, 6.2 million in the past month. The United States has 5% of the world’s population & consumes 75% of the world’s prescription drugs. Infographic 3: In 2010, enough prescription painkillers were prescribed to medicate every american adult every 4 hours for 1 month. 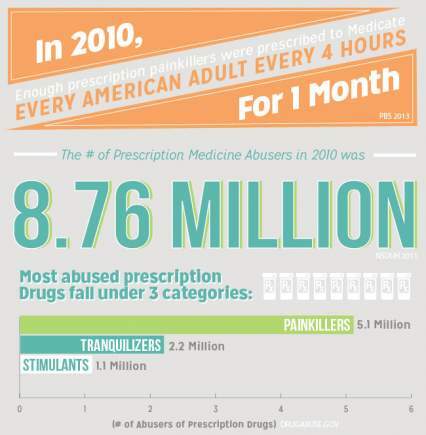 The number of prescription medicine abusers in 2010 was 8.76 million. Most abused prescription drugs fall under 3 categories: painkillers at 5.1 million, tranquilizers at 2.2 million, and stimulants at 1.1 million. 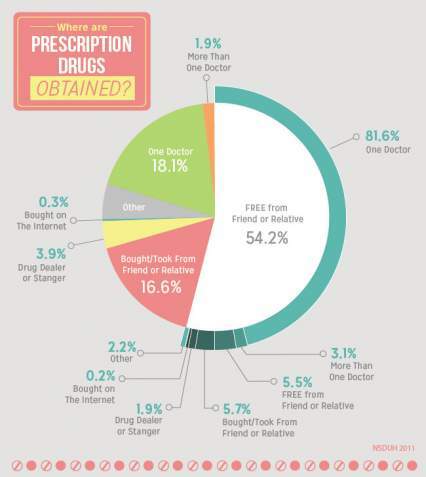 Infographic 5: Where are prescription drugs obtained?